Help! My Casio WK-110 Lacks MIDI Drivers For Mac OS X! Back in the day I had a Casio WK-110 keyboard. It had touch response, 77 keys, and General MIDI. I thought "Not bad for $200!" However, upon opening I discovered that it lacked MIDI ports and instead used a USB connection to transmit MIDI data. The provided CD did not work in Mac OS X and I thought I was up a creek without a paddle. Luckily I have some experience with working with MIDI instruments and I was able to find drivers that would allow it to work, but this required some searching as Casio did not provide the drivers themselves. To prevent y'all from hitting a lot of dead ends, I'm here to help you get your Casio WK-110 working on Mac OS X so that you can use it with programs like Garage Band and Finale! The Casio WK-110 lacks proper MIDI drivers for Mac OS X. Like I said before, proper Macintosh MIDI drivers for the WK-110 are nowhere to be found on Casio's website. After some research I found a solution, and from Yamaha ironically. Turns out Yamaha makes some USB-MIDI keyboards similar to the Casio and that their driver patch will work with your WK-110. So do a Google search for "Yamaha USB-MIDI Drivers v1.1.0 for Mac OS X." This should bring up a bunch of websites that offer the driver. Choose one (MacMusic.org is where I got mine) and download it. Yamaha has the latest version of the Casio WK-110 compatable MIDI driver here. Installation is very simple. Search for a folder called "MIDI Drivers." It should be located in Library-->Audio-->MIDI Drivers. Then just drag and drop the downloaded driver to the folder! It should work right away, but you may need to restart just in case. Now just plug in your keyboard to the nearest USB slot, turn it on, and open up Garage Band or another program and it should be recognized! Happy composing! For more information on the Casio WK-110 Digital Keyboard Review. How to buy a vocoder. 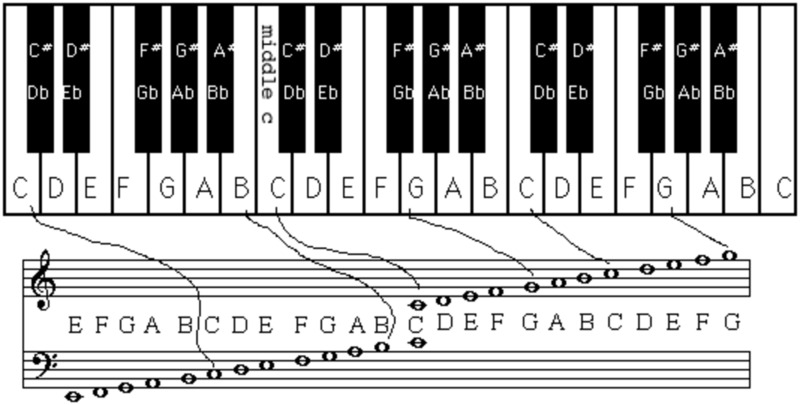 This guide outlines the features of a vocoder, talk box, or synthesizer. What are VST instruments, and what program do I need to run these VST plugins? VST instruments, plugins, and hosts explained. Hi Johnathan.I'm sorry, but I don t think your solution sktics?Why?What happens if I'm not logged in the first time when I access the website or I delete my cookies often?The very first visit before i log in will be counted so i will have at least 30 visits a month only from me.What do you think?Thank you for the article anyway and looking forward your answer! I'm one of a few admins on a site and we each have muitlple computers, locations, and browsers we use.From what I can tell, your solution seems like it'll take care of all of that by just inserting your code problem is, where how/ does one use it?Obviously, I'm completely clueless on coding, I'm just a blogger who is tired of seeing 2/3 of our hits come from the admins (not to mention how much that's skewing the other results- notably time on site and bounce rate).Thank you for your help. Didn't work what so ever. Wondering if you ever got it to work on lion. the fix stopped working after I upgraded :( thanks. Simply drug it into Library --> Audio --> Midi Drivers and did a system restart. Worked perfectly in GarageBand. but none sadly work. Any suggestions are much appreciated. I've been trying to use the information you provided regarding "Finding Casio WK-110 MIDI Drivers: Getting Your Casio WK-110 MIDI Keyboard To Work With Mac OS X" but unfortunately I'm not getting any lucky. I have tried everything you say but my MAC simply doesn't recognize the CASIO WK110. I've checked the version and it's the correct. The latest one - USB-MIDI Driver for Mac OS X (10.4.11 - 10.6.x) - as I'm using the OS X 10.5.3. I've tried to install the Yamaha driver but somehow it never installs anything after the Installing Box finishes. So I tried to instal in a USB Memory Stick instead, That worked. I found all the drivers and the folders and copied then onto the MAC Library acordingly. I also restarted the computer just in case. But nothing happened. I've just sent an email to CASIO to see if they can help us. If anyone have any luck please share your experience. Sorry, this didn't work for me.